The DMT is a comparison instrument for checking dimensions relative to a master. The dimension is obtained: -for 2 point measurement by reading the maximum point determined during the travel of the part between the fixed and the sensitive contacts. -for 3 point measurement by reading the dimension on the indicator with the part in position between the 2 fixed pins and the sensitive contacts. Versatility and high accuracy: repeatability +/- .00008"(2 microns) threads and rapid checks +/- .00016(4microns). 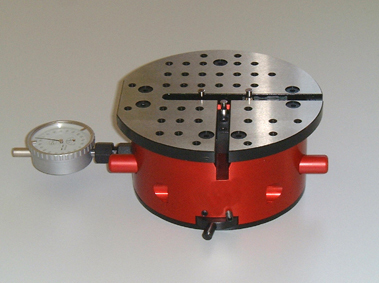 2-C-8-160L-Anvils to measure ID-OD diameter.